Bun B and Statik Selektah are teaming up for a collaborative album titled TrillStatik. The two are also letting fans watch the making of the LP by live streaming the recording session. The UGK MC and Statik have linked up for multiple tracks in the past, but their upcoming LP will be their first project as a duo. The two most recently collaborated on the song “Top Tier” from the Showoff Records producer’s 2015 album Lucky 7. Fans can watch Bun and Statik’s TrillStatik livestream on Wednesday (April 17) at 5 p.m. Eastern. The album is scheduled to officially drop on April 20. Mystikal might be fresh out prison but he still has a few legal battles he has to tend to. The rapper was sued by the United States Government over $3M in back taxes that he owed. Thankfully, he’s managed to dodge a trial in the legal battle as he’s reached an agreement with the United States government. According to The Blast, Mystikal and the U.S. government told the court that they’ve reached a deal in their legal battle in order to avoid going through with a trial. Mystikal was accused failing to pay $2.9M in back taxes, penalties, and interests from the years 1997-2002, 2007, 2008, and 2011-2013. Late last month, the rapper attempted to claim that his record label and management are to blame for his financial problems. He explained that he only found out that he had to pay back a large sum money in 2003, saying the labels and management handled his finances prior to that. 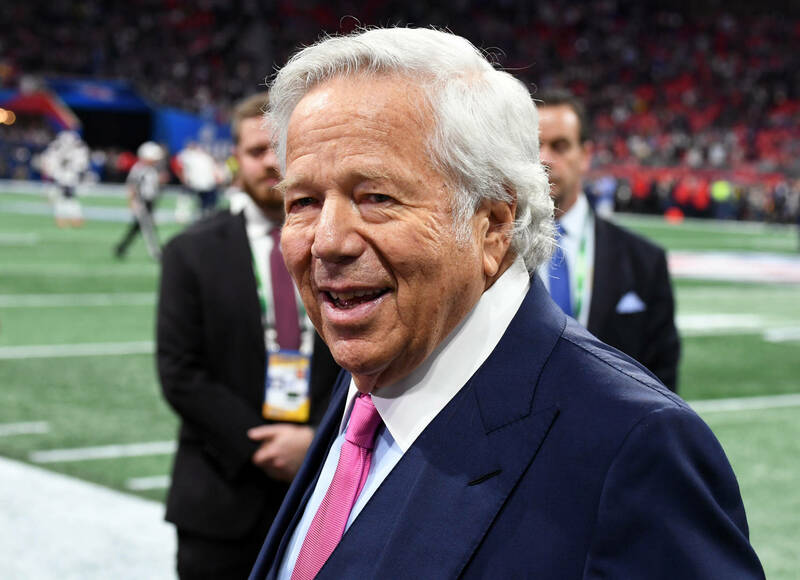 New England Patriots owner Robert Kraft found himself embroiled in a huge media firestorm when it was revealed that he was one roughly 200 men picked up in a prostitution sting at the Orchids Asia Day Spa in Jupiter, Florida. Authorities claim that they have a video Kraft soliciting prostitution on two separate occasions. This led to two misdemeanor charges against kraft; charges he pleaded not guilty to. While Kraft has apologized for what he’s done, he still wants to fight his impending case as he believes the evidence obtained by authorities was done so illegally. Kraft and his legal team say the police had no right to install cameras in the spa. In new court documents obtained by TMZ, Kraft is doubling down on his assertions and is urging that the video remains private. Otherwise, he feels like his right to a fair trial would be violated. “If released, these videos are guaranteed to be broadcast all around the world, thereafter making it virtually impossible for Mr. Kraft to obtain a fair trial,” the documents continued. Kraft’s trial has yet to start so we will be sure to provide updates on the case as it progresses. Tick tock – Has the time come for TikTok to pay the music industry what’s fair? Google has long used its dominant status – as well as safe harbor loopholes – to avoid fair royalty payouts to artists, managers, and labels. Just looking through , YouTube pays indie artists 0.00069 per view. Unfortunately, the music industry now has to wage a new war. This time, with a growing Chinese-owned social media platform. Time to pay up, TikTok. According to a new report, the Big 3 – Universal, Warner, and Sony Music – have demanded more money for songs played on TikTok and its Chinese counterpart, Douyin. Should the talks fail, the major labels will immediately pull their catalogs from both services, forcing ByteDance to either take down existing and new videos, or prohibit people from uploading videos with songs on its platforms. This would ultimately lead to diminished popularity, and most likely the end of TikTok and Douyin. Both platforms remain two of the fastest-growing apps around the world. A recent report claims TikTok alone has over a billion installs on the App Store and Google Play. TikTok executives, however, have pushed back, claiming their popular social media platform isn’t a streaming music service. “TikTok is for short video creation and viewing, and is simply not a product for pure music consumption that requires a label’s entire collection. After all, the social media app has already led one artist to fame. Lil Nas X’s ‘Old Town Road’ landed on the Billboard charts only after going viral on TikTok first. In negotiation talks, neither side will budge. ByteDance has agreed to pay more, but won’t pay out the guarantees labels have asked for. The choice shirt was fitting, considering this will surely be Anthony Davis’ last season with the Pelicans. However, Davis says he isn’t responsible for picking out the shirt. In fact, AD later explained he has “no control” over what he wears to the arena. Davis didn’t suit up for the Pelicans on Tuesday, as he finished the year with seven consecutive games on the bench. New Orleans suffered a 112-103 loss to the Golden State Warriors, bringing their season to a close with a record 33-49. Heading into the final night the regular season, that mark stands eighth worst in the NBA, leaving the Pelicans with a 6% chance snagging the #1 overall pick and a 26.3% chance landing in the Top 4. Last week, Lauren London publicly reacted to her boyfriend’s passing by posting an emotional message on her social media priles. Loving messages have continued to pour into her inbox as the entertainer takes some much needed time to process all that has happened in the last two weeks. Just days before Nipsey Hussle was fatally shot, the two were the subject a GQ spread celebrating their love. Hussle loved to show f his girl and ten, they would make headlines because fan speculation that they were getting married. Rihanna has been shaken up about the death the Los Angeles legend and today, she furthered her support Lauren London by sharing a beautiful gallery images the couple together. “I’m so sorry @laurenlondon,” wrote Rihanna as her caption, adding blue heart emojis on the side. With NAO’s “Another Lifetime” playing in the background, RiRi gathered a series images Nipsey and Lauren together, putting them all into a touching video and reminding everybody just how close the two were. Rihanna and Nipsey’s fans have been reacting in the comments section, praising the singer for doing all that she can to keep Hussle’s legacy alive. She previously penned a sad message, saying that she “can’t believe” that somebody would take Nipsey away from us. Rihanna is among many to have spoken out about the rapper’s death. View the collage below. Thanks to a packed night in the NBA filled with some pretty huge stories, Steph Curry spraining his foot was able to slip beneath the cracks. The Warriors were playing against the New Orleans Pelicans last night and won the game easily, 112-103. While it was a great night for the Warriors who are now on a six-game winning streak, it was a bad night for Steph Curry who had to leave the game in the first quarter with a sprained foot, according to Sporting News. With the playfs starting on Saturday, this would typically be bad news for the Warriors, although head coach Steve Kerr was quick to reassure everyone that Steph will probably be just fine for the playfs. The team had announced that Curry wouldn’t be back in the game for precautionary reasons, so fans were understandably concerned. With the first overall seed in the Western Conference, the Warriors are huge favorites to repeat as champions. If they want any shot at making that become a reality, they’ll need Steph healthy for what should be an intense playf run. Lovable melancholic The Weeknd has taken a break from insta-locking DPS characters to make a worthwhile money move. There’s no denying that the eSports market is on the rise, going so far as to tease Olympic aspirations. Today, the Toronto singer has ficially bought an ownership stake in OverActive Media, self-described as “Canda’s First Pressional eSports Ownership Group.” OverActive, currently has teams competing in Overwatch, League Legends, and Call Of Duty. Not to mention, their Toronto Defiant team is currently holding it down in the ongoing Overwatch League’s current season. In fact, a press release for the announcement reveals that Weeknd is actually a big Overwatch player, though he neglected to share his character choice. He has, however, teased his involvement in the League, albeit to an unknown capacity. “As a big esports fan, I am really excited to be involved in this project,” he says, before promising “unique and innovative ways” collaboration. Clearly, eSports appear to be a new wave, with many prominent investors already entering the fold. As now, The Weeknd is joined in spirit by Michael Jordan, fellow Torontonian Drake, and Magic Johnson. Look for more news from Abel’s most recent partnership to surface in the coming months, and we have to wonder whether we’ll see some Weeknd-themed Overwatch skins for the Toronto Defiant fanbase. Pistol McFly is scheduled to drop his Road Trip LP on April 26. Ahead of its release, the Dirty Science Records rapper premieres a new video for the album cut “Meditation” on HipHopDX. Watch McFly’s “Meditation” video above. Check out his upcoming tour dates with Choosey and Exile below. As reported yesterday, Boosie Badazz was arrested in Newnan, Georgia after patrolmen noticed his Dodge Charger swerving dangerously out control. Officers waived the vehicle to pull over, at which point a passenger later revealed to be Boosie’s own bodyguard, made a last-ditch effort to conceal the contraband items. After running a search on the vehicle, ficers were able to recover a gun and over $20,000 in liquid assets. The spot-check is said to have gone f without a hitch. It’s now been revealed that upon his booking in the Coweta Magistrate Court, Boosie was bestowed a $3,500 bond, which he reportedly produced without much difficulty. By law, the payment the bond cannot be deduced from assets seized at the scene a crime (pending investigation). In other news, Boosie was unhappy with fans over the lowly returns on his Badazz 3.5 project, believed to be within the range 250-350 copies sold. Last week’s release marked a reunion sorts for Boosie’s and his Trill Ent riding partner Webbie. Ella Mai still seems to feel some sort way about Jacquees’ cover “Trip.” Last year, the Cash Money crooner released a remix to Ella Mai’s song as part his “Quemix” series. The song ended up gaining a serious amount traction online with a few people suggesting his version was better than the original. The song was later scrubbed from the web after DJ Mustard sent a cease and desist letter to Jacquees, ordering him to take it down. Unfortunately, Jacquees version the song still seems to rub Ella Mai the wrong way. “i’d be so embarrassed if someone brung me on stage and the only thing i could sing was someone elses song because nobody knew my actual music. poor thing,” Ella Mai wrote on Twitter earlier today after footage Jacquees performing “Trip” during Tory Lanez set in London. Many wondered who she was speaking about but both Jacquees and his girlfriend, Dreezy, picked up on the subs pretty quickly. Jacquees chimed in and sent his support to Ella Mai while revealing that he and Mustard are planning on working together in the future. Nike’s annual Elite Youth Basketball League, aka the Nike EYBL, is set to kick f later this month with a trio events across the country starting in Atlanta, Georgia (April 26-28), Indianapolis, Indiana (May 10-12) and Dallas, Texas (May 24-26). As always, Nike Basketball will be providing the players with special edition colorways some the brand’s most popular signature sneakers. 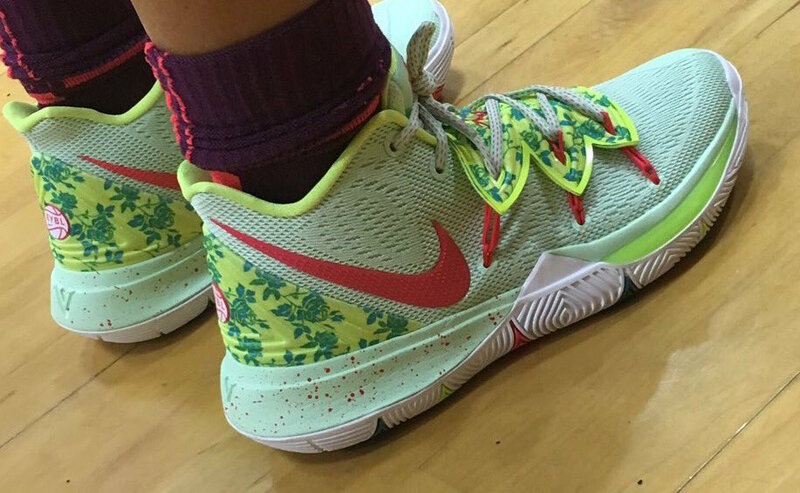 Among the EYBL sneakers that’ll be in rotation is the colorful Nike Kyrie 5 shown above. Built on a mint green upper with neon green accents, the Nike Kyrie 5 “EYBL” also includes splashes red as well as the EYBL logo on the heel. Nike has not yet announced whether or not this exclusive Kyrie 5 will be available at retail – but if they do release you can bank on them being very limited. Stay tuned for photos the rest Nike Basketball’s EYBL lineup as we approach the April 26 event. Whether you like it or not, the XFL is on its way back. 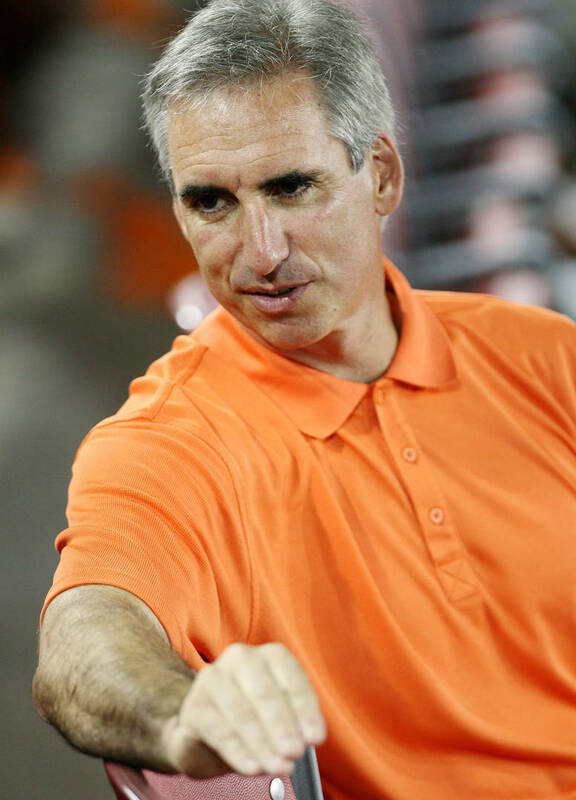 With a February 2020 launch on the horizon, Vince McMahon and league commissioner Oliver Luck are looking to create a successful product that outlasts the now-defunct AAF. While this may be an impossible task, it seems as though the league is doing everything it can to make the XFL stand out from the pack. These changes might scare some the football purists out there, but Luck thinks they’ll make the XFL a unique product. “We literally have a nine-point touchdown. We think that’s valuable because teams that historically are down by let’s say three scores, well guess what, if it’s a 16-point or a 17-point differential, you’re really looking at a two-score game theoretically,” Luck said on the PFT PM podcast. By nine-point touchdown, Luck means there will be three-point conversions. The plan is also to have a 2-pt conversion shootout as opposed to regular overtime. Essentially, a team would have five attempts to score a convert. Each team would have their fense and defense out at opposite ends the field which would mean 44 players out on the turf at once. Luck explained that the format would help speed up the game. “Soccer, which is the global game, hockey, which is the cold-weather global game — they’ve figured out how to do overtimes. They’re compelling,” he said. Luck also said there will be a three-hour time limit for each game which will help speed things up. Lil Nas X is riding to the top. The Atlanta rapper’s viral sensation “Old Town Road” shoots from No. 15 to No. 1 on the Billboard Hot 100 this week. The “country trap” song tops the Streaming Songs chart, with 46.6 million U.S. streams, and rises 11-3 on Digital Song Sales, with 22,000 downloads sold in the week ending April 4. Lil Nas X becomes the first artist unaccompanied by another act to top the Hot 100 on a first try since Cardi B, whose “Bodak Yellow (Money Moves)” spent three weeks at No. 1 in October 2017. He is also the first male artist (in a lead role) to top the Hot 100 in their first visit since Desiigner hit No. 1 with “Panda” in May 2016. “Old Town Road,” which has racked up over 70 million global streams to date, charted on the Hot 100, Hot Country Songs, and Hot R&B/Hip-Hop Songs charts before Billboard pulled it from the country charts, a decision that sparked controversy. Just last week, Lil Nas X released the official remix to his genre-bending hit featuring country legend Billy Ray Cyrus. Folks are always messing with T.I. because he’s developed a reputation as a celebrity who will respond to any and everyone about any and everything. The rapper was on Instagram Live, relaxing in a pool with his three-year-old daughter Heiress while reading through his fans’ comments. One person apparently doesn’t understand why there is so much hype around T.I. as an artist because according to them, he doesn’t put out much music that should be applauded. After DJ Akademiks posted the Instagram Live clip on his page, Drizzy added his opinion by commenting, “I think he meant two many good songs.” There isn’t word on which two songs the semi-fan was referring to, but it could have been any these chart-topping hits by the Atlanta rapper: “Whatever You Like,” “No Mediocre,” “U Don’t Know Me,” “Dead And Gone” (featuring Justin Timberlake), “Big Things Poppin’,” “Bring Em Out,” “Live Your Life” (featuring Rihanna), “What’s Up, What’s Haaapnin’,” “You Know What It Is,” or any the others that are known to get the party going. If you had to pick only two T.I.’s best tracks, which would they be?